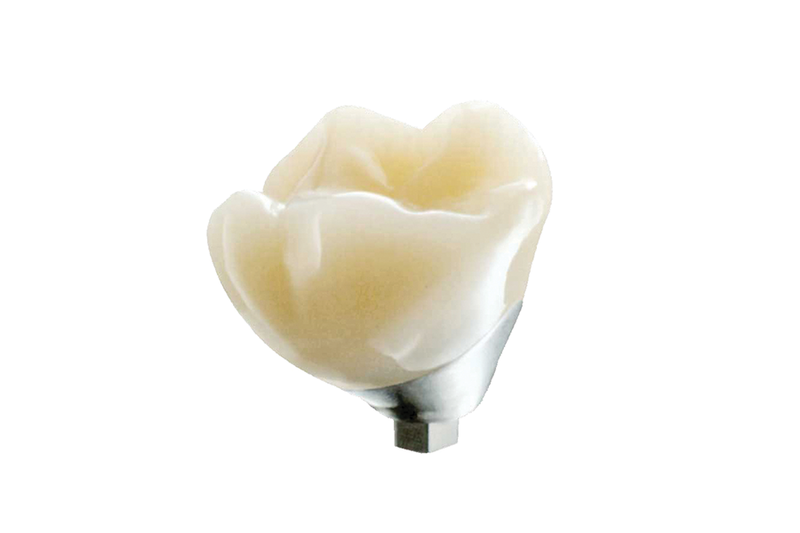 Captek is a proven brand and provides an alternative to porcelain-fused-to-gold crowns. Captek crowns are made of 88% high-noble yellow gold and is corrosion resistant. The esthetics provide a warm gold color which eliminates the dark margin lines seen on Non-Precious metal crowns. 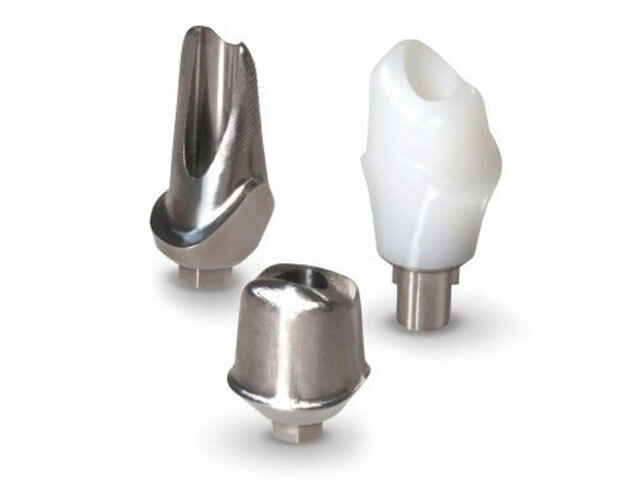 We offer Arklign CAD/CAM Custom Abutments, Atlantis Abutments, and UCLA Abutments. 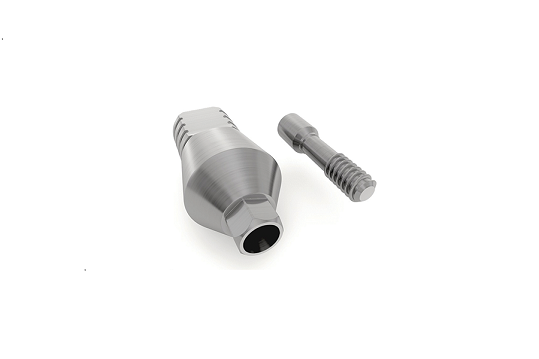 Arklign CAD/CAM Custom Abutments come in the highest quality full titanium and hybrid (titanium base/zirconia abutment) materials and are milled with the highest precisions. Atlantis Abutments come in Titanium, Gold-shaded Titanium, and All-Zirconia materials and come with with a lifetime warranty. UCLA Abutments are well suited for sites with minimal thickness of soft tissue. They’re attached directly to the implant and provides a pattern for creation of a screw retained veneered crown, available in semi-precious and precious metal. 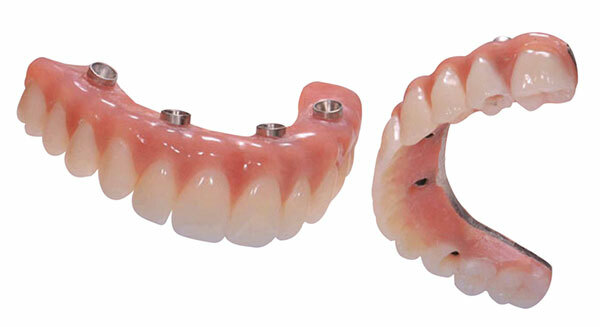 We fabricate Implant crowns in any of our Fixed Restoration products such as PFM, eMax, and Zirconia. For patient specific implants, we recommend matching it with Layered Zirconia or Full Solid Zirconia because the implant fabrication process is optimized with CAD/CAM technologies. We fabricate both custom abutment and crown throughout the digital workflow and take advantage of the digital accuracy. Stock Abutment is a simple and cost effective option for dentists and can be used for single or multiple unit applications. We are able to burnish stock abutments provided by the dentist to fit our implant crowns.